You probably needed to convert something in the past right? Whether it was inches in centimeters, kilograms in pounds or Celsius degree in Fahrenheit, we all pass through the pain of those conversions. The web certainly can help, but until yesterday I always used a different website depending on the conversion that I was needing to perform. Not anymore! 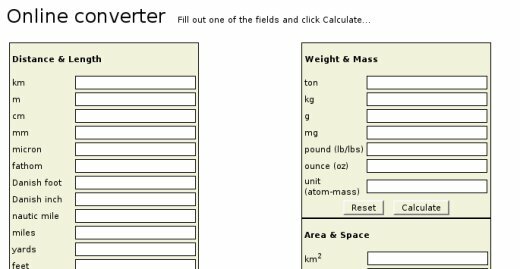 While browsing the web yesterday I came across a website that will do pretty much all the conversions you will need in a single place. I will call it the Ultimate Converter Website (they authors were too modest and simply called it “Online Converter”). Heck yeah, they even convert Morse code!